Alaska Craft Tents provide a simplified way for vendors to participate in Alaska’s biggest outdoor weekened market & festival. 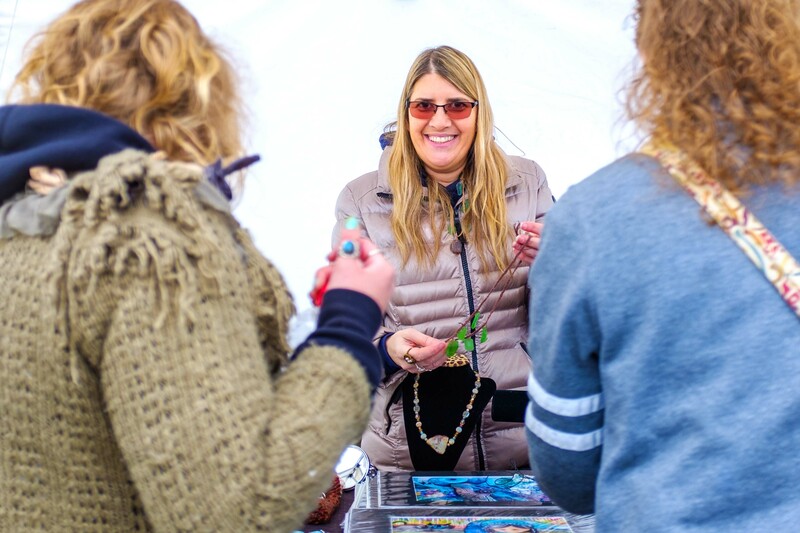 Vendors are now able to rent a 30″w x 6′ long table under the Alaska Craft Tents, instead of renting a full booth and supplying and setting up their own equipment. All items in these tents must be handcrafted by the person selling them or their family members or be an Alaskan author. The Alaska Craft Tents are set-up by Anchorage Market employees, and are ready-to-go by 8:30 AM. Discounts available when reserving BOTH Saturday and Sunday at the same time. To reserve a table, please fill out a 2019 Vendor Lease Agreement (PDF) and booth request form and send it in with payment.